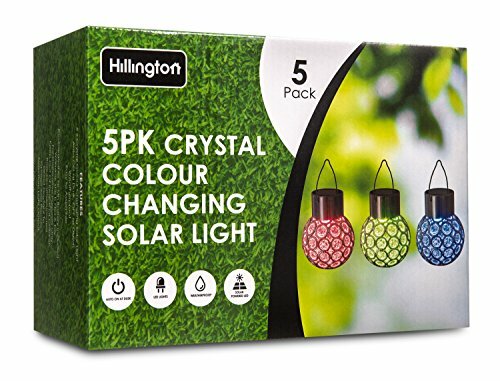 The Hillington Â® Pack of 5 Crystal Colour Changing Solar Light are the highest quality, waterproof, and weatherproof decorative garden light. 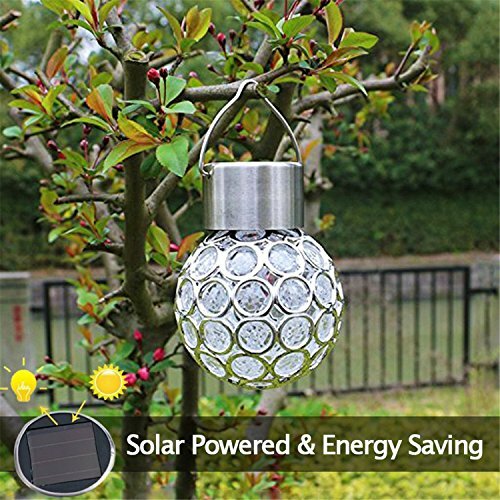 The versatile stainless steel defends your LED lights from the elements! The tall and tough balls are made from high quality impact resistant ABS thermoplastic! Have no fear about rain, wind or snow! 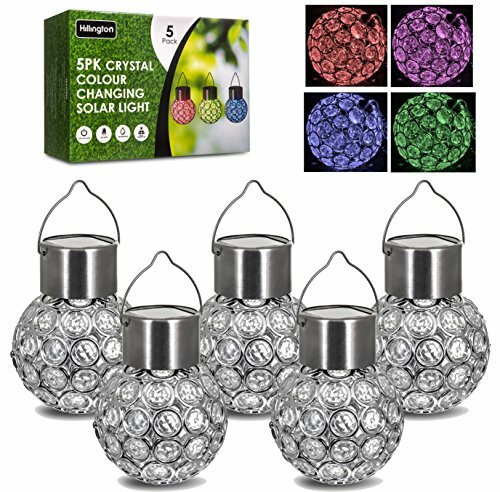 Your Hillington Â® Crystal Solar Lights are well covered and protected for use in all seasons. BE A SOLAR HERO! 100% SOLAR POWERED and MEGA-BRIGHT design! 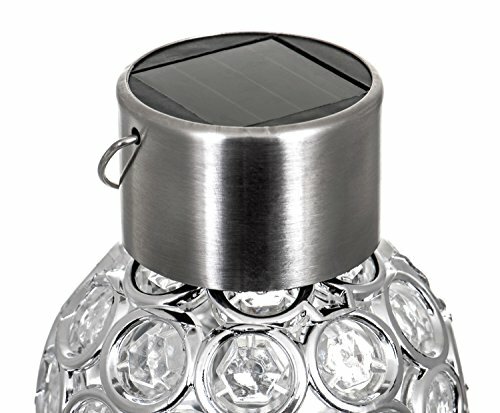 Each Hillington Â® Crystal Solar Light lasts 40x LONGER than incandescent lights! No electricity costs for using the sun! It’s totally FREE & CLEAN energy and makes your home exterior SHINE! Improve the security of your home and garden with automatic night lighting! NO WIRES, NO HASSLE! 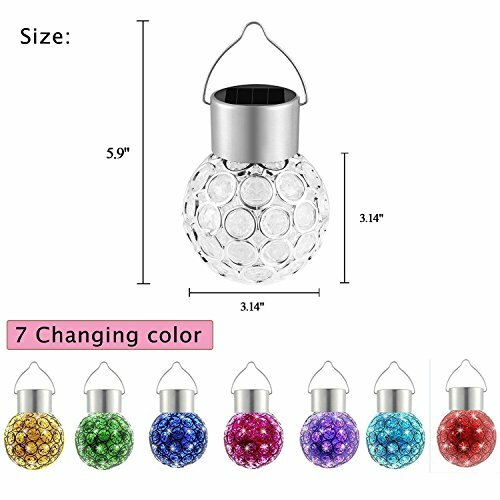 It takes just seconds to assemble each light! Straightforward, EASY-PEASY installation! 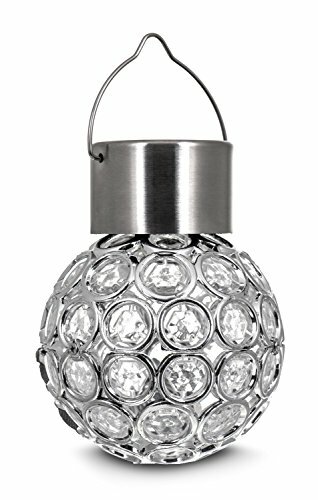 Give stunning decorative lighting to the exterior of your home, garden, porch, yard, walkway, backyard, driveway, pathway, or ANY outdoor landscape! Charged by solar power throughout the day. 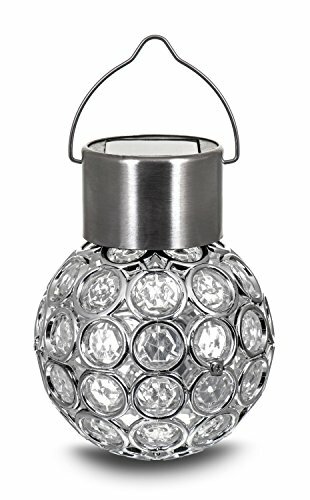 Lights up at night automatically, turns off in the morning! BE A SOLAR HERO! 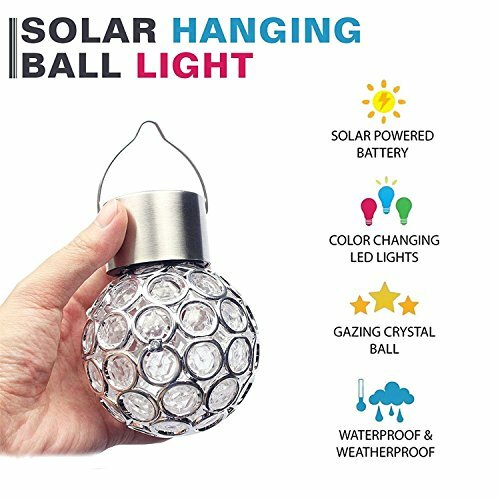 100% SOLAR POWERED and MEGA-BRIGHT design! 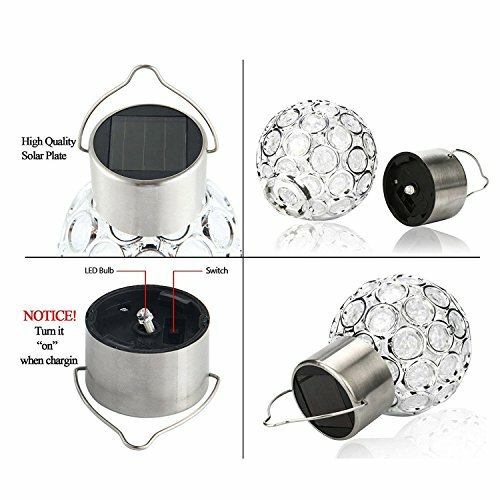 Each LED Hillington Â® Crystal Solar Light lasts 40x LONGER than incandescent lights! No electricity costs for using the sun! It’s totally FREE & CLEAN energy and makes your home exterior SHINE! Improve the security of your home and garden with automatic night lighting!